The month of November for many has become a month to reflect daily upon blessings. November is my favorite month of the year because it is a great time of gratitude for me and my family. Obviously, Thanksgiving falls in November, but shortly after, the 30th is also my wedding anniversary. That is the day that marks the beginning of our family; the greatest source of joy and happiness in my life. So, this time of year is my favorite because I am reminded of the many blessings that Heavenly Father has given me. This year I wanted to do something in addition to daily writing my blessings. 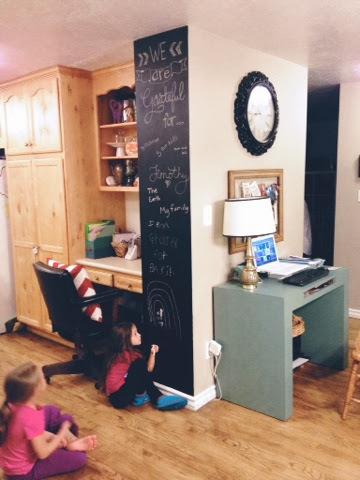 I painted a wall in chalkboard paint that has now become our gratitude wall. 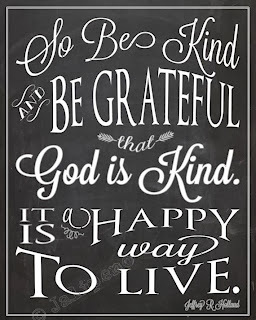 Everyday we list something we are grateful for. It is a wonderful visual reminder of our blessings. This has become a fun new tradition for our family, but I also wanted to do something a little more meaningful. I stumbled across a wonderful thought by Elder Richard G. Scott, that spoke of "evidence of gratitude." I loved the thought of working daily to give evidence of our gratitude to the Lord, but I wasn't sure how exactly to do that. As I pondered the thought, I turned to the scriptures and found an answer to my question in Mosiah 2: 19-24. "And behold also, if I, whom ye call your king, who has spent his days in your service, and yet has been in the service of God, do merit any thanks from you, O how you ought to thank your heavenly King! I say unto you, my brethren, that if you should render all the thanks and praise which your whole soul has power to possess, to that God who has created you, and has kept and preserved you, and has caused that ye should rejoice, and has granted that ye should live in peace one with another—I say unto you that if ye should serve him...."
"And behold, all that he requires of you is to keep his commandments; and he has promised you that if ye would keep his commandments ye should prosper in the land..."
And secondly, he doth require that ye should do as he hath commanded you; for which if ye do, he doth immediately bless you; and therefore he hath paid you. And ye are still indebted unto him, and are, and will be, forever and ever; therefore, of what have ye to boast?" From this I learned that we can give thanks by serving Him and by keeping His commandments and doing all that He requires of us. Oftentimes when I think of gratitude, I think of saying thanks or expressing my gratitude by identifying my blessings one by one. That is definitely a worthy expression. But the evidence of my gratitude, what I do with this precious life Heavenly Father has given me is the most powerful expression of gratitude that I can offer. With that in mind, my goal for this season of gratitude is to do something each day to purposefully demonstrate my gratitude to Heavenly Father. It can be one small act of service or striving to live my covenants with exactness. No matter what it is, I want to do something daily out of gratitude. And this because I am learning that being grateful is not just an emotion or state of being, but a state of living. A grateful heart is one that goes about doing good. A grateful person seeks diligently to repay the debtor. In our case, we are indebted to our Heavenly Father. He only requires that we do what He asks of us. 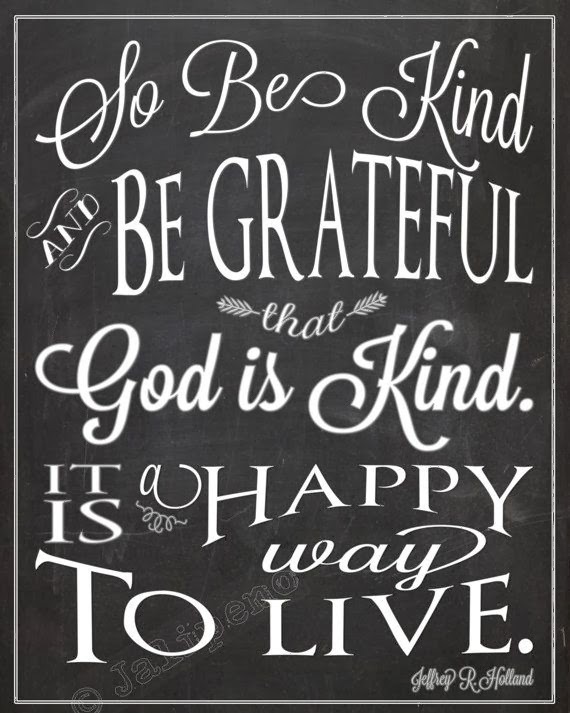 So that is what I am going to try to do because I have so much to be thankful for.